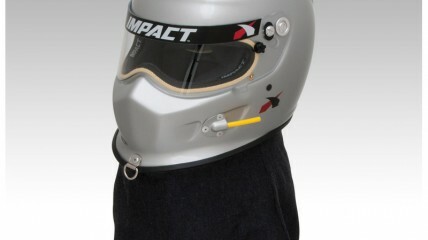 The Impact DRAG CHAMP helmet is a sealed-helmet solution for the closed cockpit drag racer. 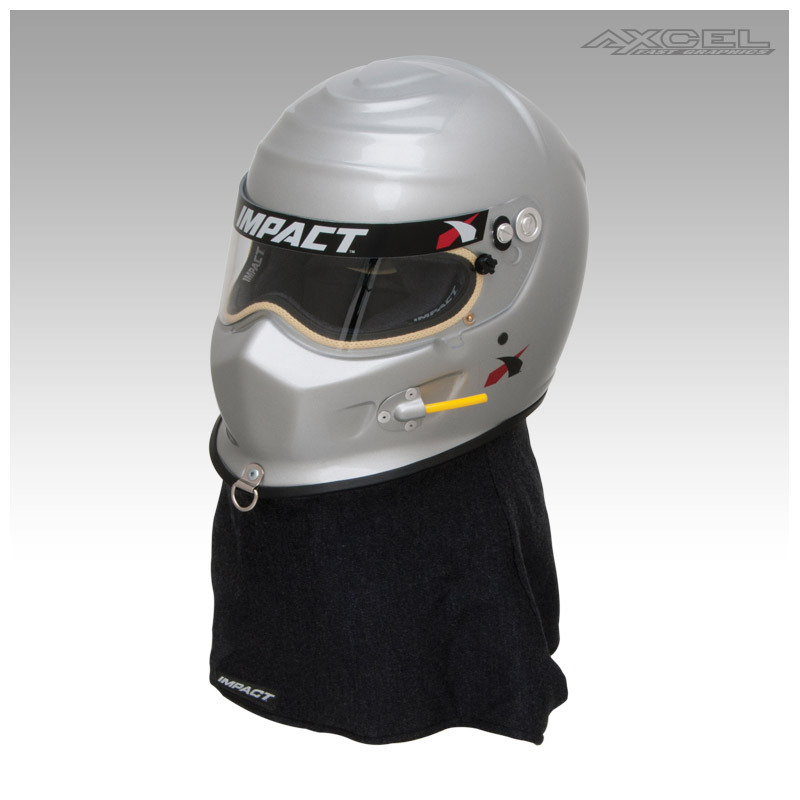 It features a radical chinbar design that covers the mouth and nose and acts as a built-in breath deflector. This special version of our Champ has our superb air intake port for your bottled air system and a D-ring at the chin to strap in for those excessive G’s you encounter. Our “intelligent” Gray Matter liner, a variable-density, single-piece helmet liner upholstered in fire-retardant fabric, interchangeable cheekpads for a perfect fit, a fire-retardant Kevlar® chinstrap with dual D-Ring closure and our 1/8” polycarbonate shield with three-position detent come standard on the DRAG CHAMP as well.